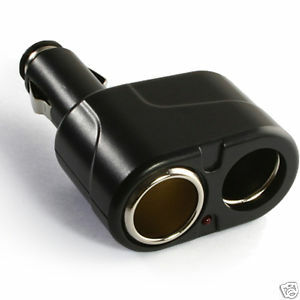 Ever needed to plug in your mobile car charger and your Bluetooth headset car charger, eReader or SatNav unit at the same time with a single cigarette lighter socket? 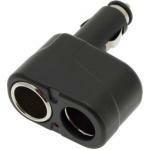 The Dual Cigarette Lighter Adapter is the ultimate solution. 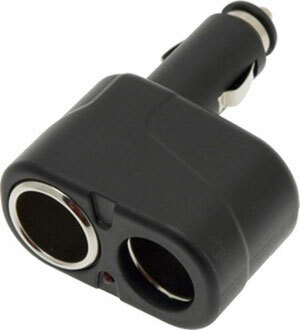 It simply plugs into your existing cigarette lighter socket and splits it into two standard sockets, giving you the freedom to plug in up to two cigarette lighter sockets at once. 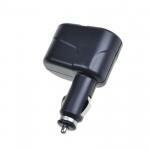 Can a Garmin Sat Nav and portable car refridgerator operate in tandem using this adaptor? Hi yes it would work with both of those. hi will this charger do the job on my go 700 it is the round pin with the plus + in the middle ? Hi yes it works with an car chargers. Hi normally they are the same thing. Hi yes it will do both of those. Just order online and it will go in tomorrows post.